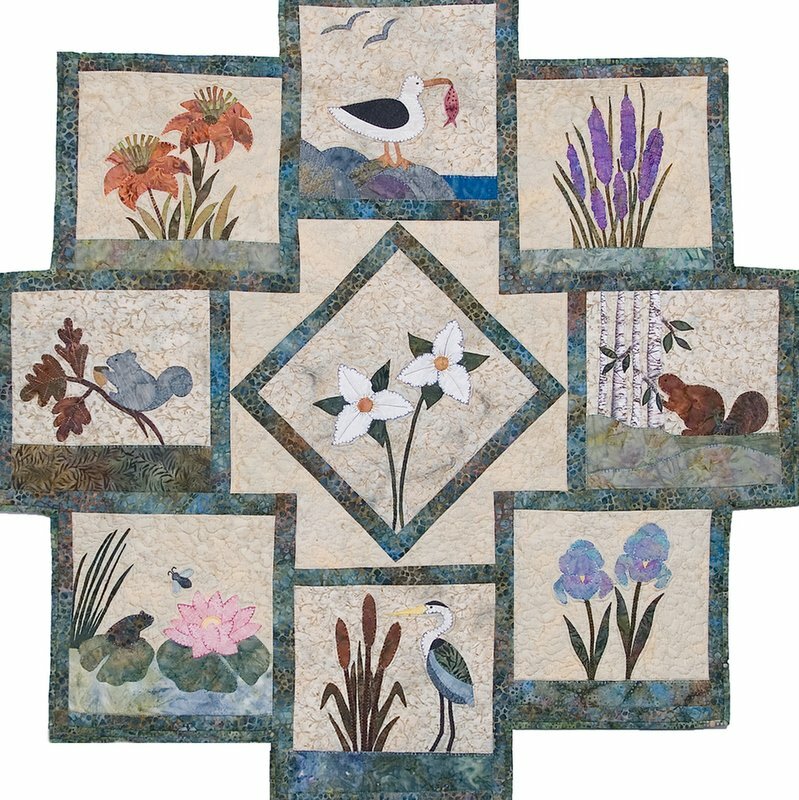 A serene picturesque wall hanging in muted tones, depicting the familiar sights of cottage country ….. animals, wildflowers, weeds and grasses. This is an original design featuring 10 inch blocks. The center block in this pattern is also a 10 inch block on point. Do you have orphan 10 inch blocks you don’t know what to do with? 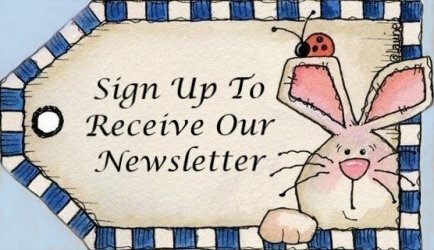 This pattern is for you. It is machine appliquéd using blanket stitch. Mitered inside and outside corners on the binding complete this wall hanging. Finished size 39” x 39”.